It may be overkill, but I’ve been working on new stonefly patterns. Some time ago, I bought assorted patches of muskrat and beaver at Concord Outfitters. I also have some Angora goat dubbing, which is incredibly spiky. It also is very unwieldy until you cut the fibers shorter. Put on a dubbing loop and spun, it is great material for buggy-looking thoraxes. So, I’ve been tying some new versions that incorporate those items. I’m using goose biots for the tails and various rubber materials for the legs, such as MFC’s Barred Sexi-Floss in the small size. Loon UV Flow and Thin to seal (hopefully) everything. I’ll fish these jig-hook nymphs as anchors and expect to lose quite a few. But, making these more detailed flies is a great way to ride out the Polar Vortex. 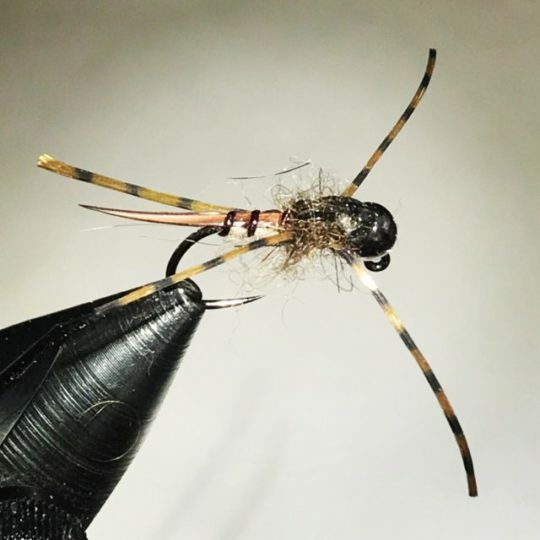 What’s your favorite stonefly pattern? 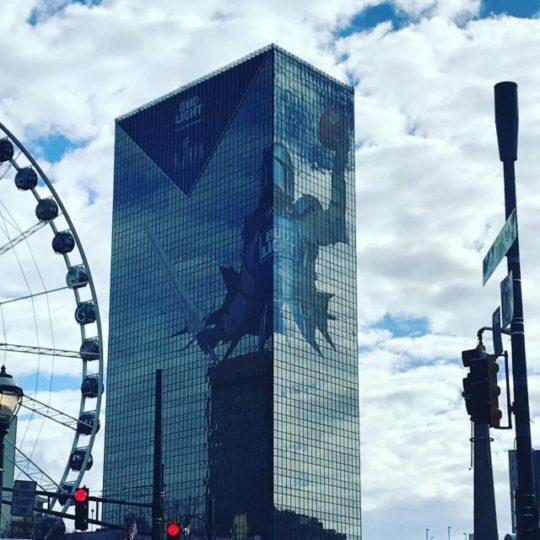 Atlanta is a hoot so far. 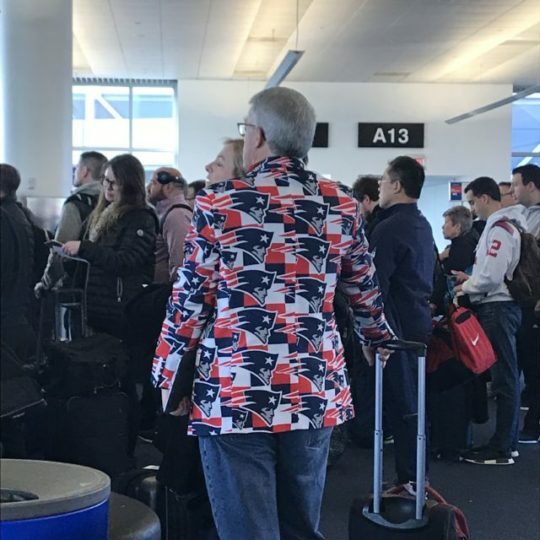 The flight down was all Patriots fans, with some folks in a lot of NFL clothing. 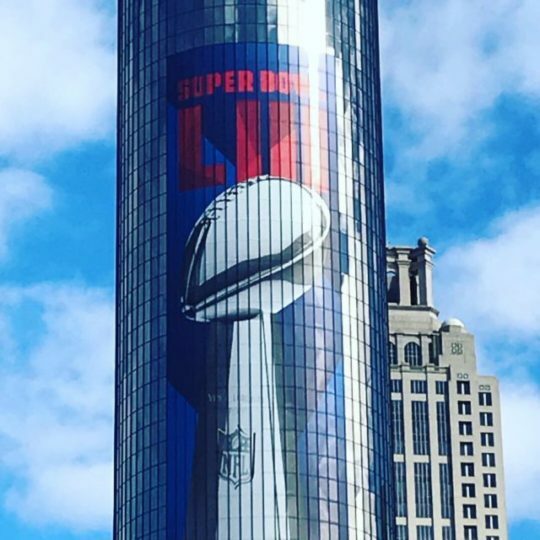 The streets are jammed with people, and even the buildings look festive. The locals are incredibly and genuinely friendly. 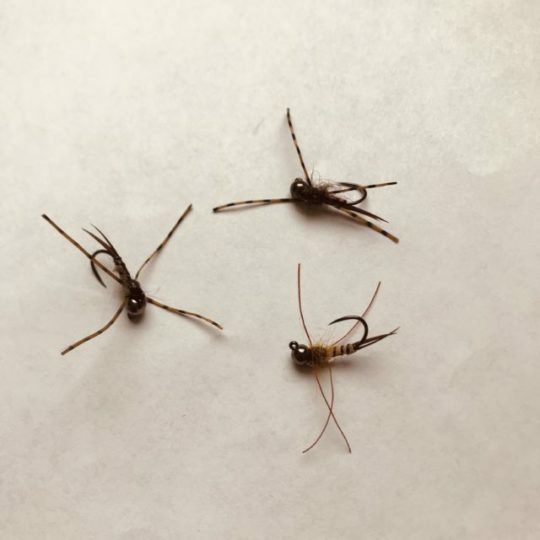 I tie Early Dark Stoneflies, which will be hatching later this month thru March, essentially as soft hackle on #16-18 hook. Tail & abdomen with crow wing feather barbules. Copper wire rib. Thorax of med. brown dubbing and starling breast feather for hackle. Fish it mostly without weight inthefilm, drift with slight strips. If any adults in air, on branches, tree trunks, then in the film strips very effective. 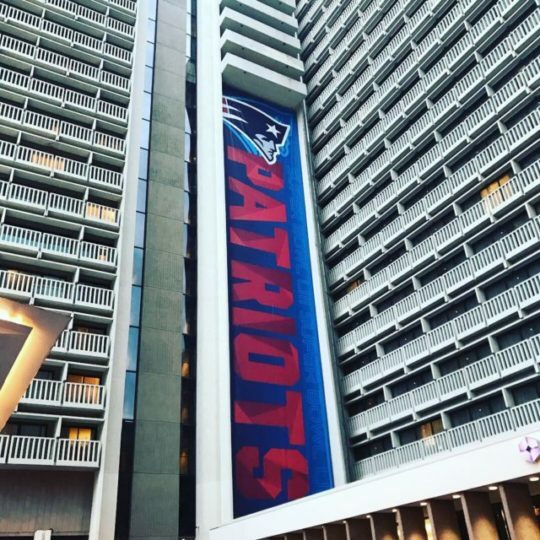 Will be interesting to see what the ratio of Pats fans-to-nonfans (Since probably more Pats haters than Rams fans?) will be inside the stadium. Great pattern! Game was about 70 percent Patriots fans. Brady could audible, and Goff had to use hand signals. A fun time! Pats rubber legs. The pattern is deadly year round and it only takes a couple minutes to tie so I’ve never justified a reason to bother with anything else. I’ve found keeping flies simple saves money and vice time, plus they work just as well if not better than more time consuming patterns. Pat’s rubber legs, but I also like the “20 Incher” with a black bead head when I want to go a little smaller. That’s a nice pattern. Will add it to my tying queue. Thanks for the suggestion.